This year's nominated charity is 'ShelterBox' - providing shelter and survival needs around the world. We have all seen too many distressing news stories about disasters around the world - natural and man-made. ShelterBoxes give clubs and individual Rotarians a way to directly help people in desparate need. blankets, tools and other necessities to help a family survive after a disaster. The contents of a ShelterBox are tailored to the nature and location of the disaster. 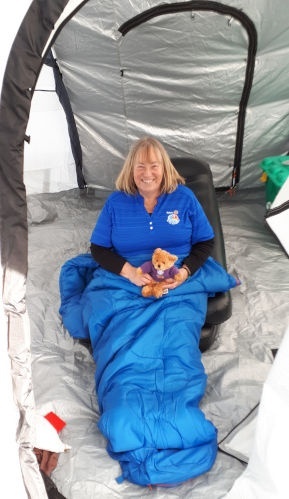 This year we have the target of providing 100 shelter boxes, and there will be a presentation by ShelterBox at the District Conference 22-24th March 2019 at Grange over Sands. There will be the opportunity to be sponsored to sleep in a ShelterBox tent at the Conference! If you are interested please contact DG Mary Bradley.